Jordan: Hello, again, everyone. Welcome back to The Atlas Investor Podcast with Tiho Brkan. Thank you so much for joining us today for Episode 6. Tiho, my friend, how are you doing today? Are you ready to record this episode? Tiho Brkan: Yes, I am, Jordan. I’m doing very well. Let’s get straight into it. Jordan: Now, tell us where you are today and what you will be covering in this episode? Tiho Brkan: I’m sending you very warm regards. Actually, in this context, very cold regards from Paris, France — one of the most beautiful, most romantic and most historical cities on the planet. In the global macro talk, I’ll be discussing credit markets, in particular, emerging market debt, high-yielding debt, and investment-grade corporate debt. Jordan: Okay, Tiho. You’re in France… Paris, France, I should say. Now, please give us a little bit of general information about Paris and France. Maybe, some statistics that investors and listeners are not totally familiar with because I think, France, to most people, is fairly well-known. Tiho Brkan: Yeah. Well, if you were to ask my girlfriend this question, she would say that best statistic is the most amazing and the most tasteful croissants in the world. So depending on what statistics we’re looking at, for investors, I think, France is a very, very difficult place to be very profitable. I think the bureaucracies is on the high-end and the political system is not all that friendly and open towards investors. Taxes are very high. Also, the real estate prices are fully priced, in my opinion, or very highly priced. Paris is one of the most expensive cities in the world when it comes to buying central real estate, or apartment right in the main districts. Because Paris is divided into all these districts starting with one and then going in a circular fashion around two, three, four, five, six and so forth. Saint-Germain Boulevard is five and number one is the center, number eight is very expensive part of Paris, but these prices go up to $17,000 USD per square meter, which is something similar to about one-and-a-half thousand US dollars per square foot. Furthermore, this is a developed country, Jordan. When it comes to business opportunities, which we’ll also cover in this segment too, a lot of them have already been done. The big companies are exploiting things from day-to-day, from month-to-month and year-to-year. It’s not that easy to just come in with a brand new idea, the way that you could when you’re coming to an emerging or frontier markets in Asia, in Latin America, or in Eastern Europe or even in Africa to a degree. I think the best way to play France, from my perspective and for retail investors at home is using the stock market ETF, Jordan. I think this is where we should cover things first and foremost. Jordan: Sounds good. Now, let’s get into that. How has the French equity market performed in recent years? Tiho Brkan: Well, it’s done pretty well over the last several months, but it hasn’t done all that well over the last several years. I would like to take a step back, first of all, and say that this is the first time on the podcast that we’re actually discussing a country which actually has a stock market ETF. EWQ is the ticker for our French stock market, which basically tracks the MSCI France — which is basically the French stocks price in US dollars. The French stock market has gone up around, I think, about almost four times over the last two decades. It hasn’t performed as well as some other markets. The majority of that performance actually came in the last bull market cycle, not the current one. That was from March 2003 until October 2007, just prior to the GFC — Global Financial Crisis in 2008. During that period, French stock market went up by more than three times. Majority of the gains, since then, have been, basically, in recovery mode. It was only recently, several weeks ago, that the French stock market made all time new highs, Jordan. We’re just breaking out of this pattern, which started in 2007, as I said, and then we tested that in 2014 with a peak and then we had another correction. Recently, we’re breaking out towards all time new high. We’ve had a lost decade in French equities, Jordan. Jordan: Now, Tiho, what kind of returns do you expect from this market moving forward and maybe in your answer, you could also touch on the current valuations? Tiho Brkan: Yes. Well, cyclically adjusted price-to-earnings ratio in France is a little bit cheaper than the United States, but not that dramatically cheaper. We’re sitting around 21, I believe. Now, the United States is just over 30 now. That’s getting into extreme territory as we discuss several podcasts ago, as this is a the5th percentile for the United States. Forward returns for the United States might be actually very disappointing. On the other hand, the French stock market, it’s priced in the middle. It’s not cheap and it’s not expensive. Because we’ve had a technical lost decade where the prices move sideways with a crash in 2008, followed by a crash in 2011 during the Eurozone crisis, and then another correction in 2014 and ’15 during the powerful US dollar rally and the crash in commodities and oil and also, the crash in the Chinese stock market, which had ripple effects throughout the world — all of these things created a setback for the French market, which I guess has been struggling similar to the economy over the last decade. Now, if we were to imagine that lost decades, tend to disappoint investors, therefore the preceding 10 years after that tend to be much better for investors. One could imagine that the French stock market, from here, could perform very well. Having said that, despite being the depressed for 10 or 11 years, one of the things that I’m worried about is that the French stock market is just breaking out right now — but we are very late in the expansion cycle in the United States. The US stock market, predominantly, leads the global stock market. When the US stock market goes down, if it does, it drags other markets in a negative way as well. 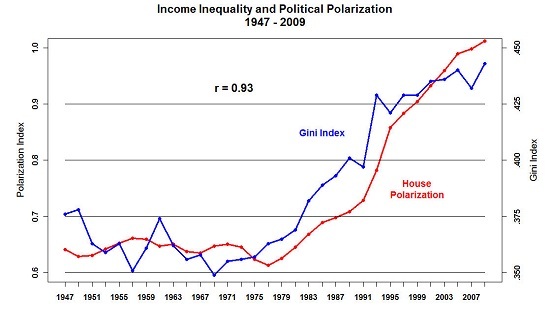 The correlation tends to start to rise. All stock market tends to follow the United States when the selling pressure occurs. The fact that the French stock market is breaking out so late in the expansion cycle in the bull market judging from the perspective of the United States, has me a little bit worried because at any point in time, if we have some kind of a setback in the United States, the French stock market could also experience a similar setback and the recent breakout could be false hope. Something to keep an eye out on, Jordan. Jordan: Okay. Yeah. It doesn’t sound like a market that you want to be chasing. Now, let’s get into real estate. Are there any opportunities that you see there that an investor could benefit from? Tiho Brkan: Well, I think, one of the things that when we discuss France in particular, especially Paris too, real estate is priced very highly. If you mix that together with a high taxation in France, I’m not really a fan and I’m not really an investor either. Paris is actually priced in some ways similar to New York and Tokyo. That’s the way that I look at it. It’s a little bit cheaper than Hong Kong and London when it comes to prime A-grade real estate. We’re looking at, like I said, about $17,000 per square meter or one-and-a-half thousand dollars per square foot — this is a little bit more expensive than New York. Maybe just slightly but maybe it’s similar, depending on which statistics were used from which real estate company and so forth. It’s a little bit more expensive than Tokyo. The rental yields, the gross rental yields, for all of those three range between 2.7 to 2.9 percent, with New York returning the best. The rent per square meter is about $35 to $45 depending on the location. In real estate, location, location, location is the most important thing. Very high priced markets, including these three that we discussed, are all in the top six of the world… including Monaco, London, and Hong Kong being the top three of all major cities. 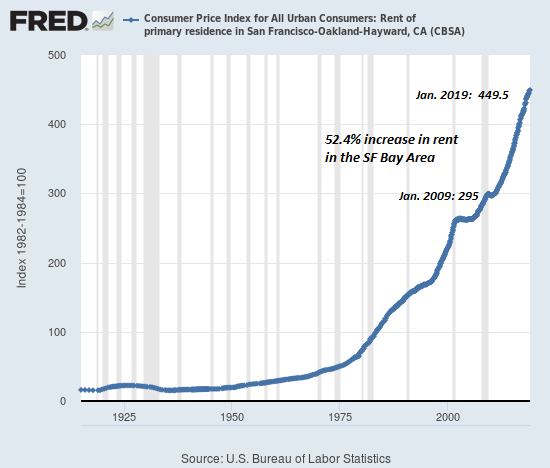 You’re looking anywhere between 35 times to 38 times price the rent ratio. This is not really a place for most investors. You do need a large amount of capital. You do need to take on a large amount of debt through a mortgage if you want to borrow. Sometimes, you can borrow as a foreigner, but most times, that’s very difficult. When it comes to, for example, purchasing a Paris real estate and the doing some renovations, there is a few opportunities here and there from what I saw or attending quite a few real estate stores and shops. In particular, when you think about it and do the basic mathematics, any kind of a profit that you might walk away with will be taxed very heavily and in some cases even, the regulations are annoying. Generally speaking, for me, Paris and France are not of interest, Jordan. Jordan: Okay. With that being said, I just want to get your thoughts on if you saw any business opportunities there. In addition to that, maybe you could delve a little bit more into how high the taxes are there if you were going to be starting a business. Tiho Brkan: Sure. Well, business opportunities, I think, France, first and foremost, is the most visited country in the world. French Riviera in the south has about 10 to 12 million tourists arriving every year that are internationals. Paris itself has something similar — if not, even higher. I think Paris is around 14 to 14 1/2 million. It’s estimated to grow in the next few years to over 15 million tourists arriving. Obviously, tourism is very, very developed. From that aspect, there is not much you can do and there is a lot of competition to be had. If I was to do anything, and I’m not an expert in this field by any means, but I noticed that Paris, in particular, is going through a food revolution. We are changing from the old historic ways and this has been already, by the way, happening for several years — not something new that I’ve noticed that no one else has. Basically, we have a resurgence of all brasseries that are becoming very retro or very modern for the first time in several years. The hipsters are bringing new taste, new flavors and new culinary menus of Paris culture. You even got the hamburger shops. You’ve got the food trucks. You’ve got all this kind of new trends happening. Healthy food is also occurring, too. I would, maybe, look towards that way if I was an investor or businessman, but everything else, very, very difficult unless you’re a big company. When it comes to answering your second part of your question, which is connected to taxation, the corporate taxation, in my opinion, is one of the highest in the world for a developed country like this. We’re looking at 33.3%. We’re looking at, also, a value-added tax of another 20%, which is a sales tax. We’re looking at the top marginal individual taxation at 50.2% which is, in my opinion, is just ludicrous. Withholding taxes, when you’re paying yourself dividends or interest or whether you’re receiving interest or dividend, we’re looking at 30%. A very high taxation. Lots of bureaucracy. Some laws are very outdated when hiring people when firing people. Social security taxes are very high. Not a place that I would want to be an investor. The only way that I will play France, in my opinion, is the stock market, but one thing that I want to bring to our listener’s attention is that you don’t necessarily have to play the French stock market via the EWQ ETF, because if you were to look at United Kingdom, Germany, France, and Switzerland — these top European countries even to some degree, Sweden, Netherlands, and so forth — they all correlate in similar ways. A basket of all these countries might be a smarter and a better way to play it because you get the same kind of a move, but you diversify yourself a little bit more. In case one of the French companies says a problem or one of the German companies has a problem, you’re diversifying yourself more. That might be the smartest way — by buying one of the European ETFs instead of just the French one. Jordan: Now, Tiho, this is something we talked about in our prep, but I just want you to inform the listeners. As we were going through this — the wealthy and really wealthy people in France given these taxes, what do they do? They probably don’t want to live there anymore. They probably want to live in a nearby place where they’re not as highly taxed. What are your thoughts on that and I guess the impact on France and I guess surrounding areas? Tiho Brkan: Yeah. It’s not a surprise at all to me that France is surrounded by tax havens. To the north and the northwest, you have the Channel Islands. Usually, more used by the UK and the Brits, but nonetheless, you have Jersey and Guernsey. Then you have Isle of Man in between of Ireland and the UK. Down to the south, you have Malta, which is all the way down south. And you have Gibraltar that goes to Spain. Right on the border with France, you have Andorra and then you have the famous Monaco, which the French cannot really use properly because a lot of the laws state that taxes are exempt, income taxes are exempt but unless you are French. That’s very difficult. Across the border to the east, you have Switzerland and Liechtenstein. That’s also very interesting. Down in Italy, you have San Marino. You also have, I think, one of the most famous stealth tax havens for the French in Belgium, which is to the northeast. That’s where a lot of people tend to move because even though on the surface, Belgium looks like one of those countries with high taxes. They are actually very useful for people with passive incomes who are receiving dividends or interest or have stakes in companies but don’t earn salaries. People such as the owner of the Louis Vuitton Moet Hennessy have moved from France to Belgium. That’s a typical tax haven that a lot of French people would use, Jordan. But it doesn’t surprise me at all that France is basically surrounded by tax havens because quite a lot of capitalistic minds are sick and tired of the socialistic laws and very, very high taxes, which stifles growth and it doesn’t enable the French economy or the GDP to really expand. France is a $2.5 trillion economy with almost a $39,000 GDP per capita. There are almost 70 million people living in France. In my opinion — such a developed country such a large country, such a wealthy country — like this should not be run in this way, but hey, I’m not a French politician so who am I to say anything. Jordan: You’re not French either, right? Tiho Brkan: That’s right, but I do enjoy French culture, French cheese, French wine, French croissants. It’s a wonderful place to visit. I’m not surprised that more than 85 million people visit France every year, Jordan. The most visited place on the planet when it comes to tourism. Jordan: Okay. Well, thank you for all that information. It’s really interesting and fascinating. Now, before we get to the global macro segment, you’ve covered a lot here with France. I’ve learned a lot. Please give us your final verdict on the country. Tiho Brkan: Enjoy the country, visit the country. I visited Paris over 20 times in my life and I’m quite young. Do enjoy yourself when you go there. It’s a stunning place during summer, during autumn, during spring, even during winter — but just don’t do any business and investment there. Do yourself a favor. Jordan: Okay, Tiho. So far, we have discussed US stocks, US treasury bonds, foreign stocks, and in particular, emerging market stocks, global currencies, and alternative assets. Now, today, you are going to cover the credit markets. Please tell us a little bit about credit markets. Tiho Brkan: Well, investors at home, and not just at home but even the big investors have, usually, two ways to invest in a company. They can either buy the equity of the company — which people at home are more familiar with. That means owning equities or shares, also called the stocks. Or you can lend money to the company and that’s in form of extending credit to the company or creating a bond agreement between you and the company where the company promises that it will pay you back income over a certain maturity — meaning, five years, seven years, ten years. The longer the maturity, the higher the volatility of the bond and the shorter the maturity, obviously, lower the volatility. These are known as long duration and short duration bonds. When it comes to credit, there are many, many things that we can discuss and many things that we can follow — but to keep it very simple, I basically just follow investment grade or corporate bonds, emerging market sovereign and corporate bonds in one, and then junk grade or as they are also known as high-yielding bonds. Those are the three that we’re going to focus on today. They’re very important to investors who are willing to get a higher premium over the Treasuries fixed income market. Also, they’re very important because they’re a great barometer of financial market health and possibility of major turning points in economic activity. Movement from economic expansion to a contraction and so forth. Jordan: Now, Tiho, can you tell us about the specific credit assets that you track and how they’ve performed over the last few years? Tiho Brkan: Sure. Well, let’s start with investment grade bonds. The ETF, the people usually would know at home is LQD. These bonds had a yield anywhere between 7%, 8% on the upside over the last 20 years and towards 3% of the downside. Really, the yield has been quite low as of late — suppressed and artificially pulled down by the central bank QE and quantitive easing and Fed’s interest rate basically sitting at zero bound from late 2008 until, basically, the end of 2015. Naturally, the central banks around the world have suppressed returns. They’ve dragged down fixed income yields, and therefore, these bonds don’t yield as much anymore. Having said that, when yields drop, prices rise and vice-versa. The central banks have really stimulated current returns and well, we’re not very sure what’s going to happen in forward returns, but the lower the yields are on these bonds or these fixed income instruments, the lower the future returns will be. I think over the last 20 years, the corporate bond market has returned about three times using the ETF, let’s say. In particular, the strongest returns came right after the 2001-2002 period when the stock market was peaking. We have the September 11 incident and so forth. After that, as the Nasdaq Bubble crashed. Fed stimulated the economy under Alan Greenspan and they cut the rates from very high levels down to almost below 2%, under Ben Bernanke in 2004 just prior to 2005. That saw the corporate bond market do very well in that period. We had a huge setback during the GFC as everyone is familiar with and around that time, corporate bonds were yielding over 9% at one point in October 2008. That, obviously, was the low in hindsight and set up a lot of the investors who purchased at that time for great returns going forward. From 2008-2009 period all the way to 2013, corporate bonds had a very, very smooth ride. It wasn’t until 2013 as well as 2015 that we saw some shocks under taper tantrum, and then the first rate hike by the Federal Reserve, and then the Trump election — which was thought to be inflationary. Bonds had a few setbacks but these bonds still remain in an uptrend. Moving along towards junk grade bonds, which is the other ones that I would like to cover. They tend to yield even more and have even more of a premium than corporate grade bonds, naturally and obviously. They tend to pay a very high premium in times of turmoil, panic, and fear. During 2001 to 2003, bear market and the global recession, we saw these bonds yielding somewhere around 14% or even higher. During the GFC of 2008, the yield on these bonds and junk grade bonds got over 22% at one point. During the recent two episodes of risk events, which was 2011-’12 Eurozone dead crisis, as well as the Emerging Market crash and the commodity oil bust of 2015-’16, we saw these junk grade bonds yield around 10%. Quite a nice premium relative to Treasuries when things do go bad. Jordan, you really got to be willing to step in as a contrarian when everybody else is selling to gain some very good returns from these bonds. Whether it’s investment grade, emerging market, or high-yielding bonds. Jordan: Now, I just have a quick follow up on that. If you would’ve bought at the 2009 bottom, if you would’ve bought junk bonds, investment grade bonds, and then the spider ETF to spy, as far as the total return, which one performed the best? Tiho Brkan: I think the stock market or equity markets tend to always outperform, eventually, up to a certain point. Going back to 2014, I think that junk bonds did better than stocks, but eventually, now, the stocks are doing better. Always over the long term, equities will do better than credit. Having said that, the advantages of credit is that they have less volatility and they have less momentum in some ways. For example, whenever you see a fall in bonds, in this case, we’re talking about credit — junk credit or corporate credit, the higher the grade, the less of a momentum there is to slow the trade on the downside. What I mean by that is, when you see a shop sell-off in bonds, it usually bottoms on a V-trough. They don’t need a double bottom or a triple bottom or breadth divergence or a shift in sentiment. Bonds have a different kind of a characteristic to investing and therefore, they’re much easier to trade in some ways because their volatility is much, much lower. When we saw junk bonds sell off during the episode when oil prices were crashing, and a lot of the junk bond sector coming from the energy side of things was affecting the overall index — eventually, oil bottomed in January 2016, so did junk bonds. The reversal was incredibly sharp. In 2016 to 2017 was one of the greatest performances for junk bonds in the history of the index dating back to the 80s. When the panic ends, you should buy some bonds because their recoveries are very sharp, very swift. They do very well for your NAV, your net asset value. Jordan: Okay. Thank you for that. That’s great information. Now, Tiho, you can also use credit assets to track the overall health of financial markets and economic activity. How does one do this? Tiho Brkan: Well, basically looking at a spread between what’s known as a risk-free Treasury government bonds relative to these credit markets and assets. Basically, the overall view is that the government has the ability to finance itself much easier than a corporation can. A corporation can go bankrupt a lot easier. Governments can borrow a larger amount of money from other countries, from other investors, they can raise taxes on the individuals and the corporations, trusts, foundations, and charity organizations. They can do all of those things. Plus, they have the ability to actually print money, or in some cases, get the central bank to print — which is meant to be an independent body but really, it’s not. We all know they all work together under the Banana Republic to monetize each other’s debt and to prop up the overall fiscal policy, which there is no money by taxpayers to be paid. Credit spreads are very, very important sentiment indicator, economic activity indicator, and overall health and a barometer of financial markets, Jordan. Very wide spreads tend to be, usually, signs of a nearby bottom for the overall economic activity, equity markets, and economic expansions. Very narrow spreads — while they can last for a long period of time like we saw between 2004 and 2007, eventually — credit spreads will widen especially when central banks had officially suppressed them for long periods of time. If you keep the basketball in your pool under the water enough and as soon as you release it, it will bounce out of the water and smack you back in the head. That’s what happens when you suppress something artificially for a long period of time, it could punish you on the way back. We are watching a very compressed credit spreads here and wondering whether the current state or credit spread is signaling another start of widening — a widening trend around the corner, — something to really think about as we discuss this podcast in November of 2017. Jordan: Okay. Can you delve into that? What are credit spreads telling you right now? Tiho Brkan: Well, we’ve recently been very peaceful until, like I said, November 2017 when we saw huge widening and spreads in emerging market and junk grade. Not so much yet in corporate grade. But nevertheless, the period since January 2016 all the way until today, the credit spreads have, by and large, been narrowing — everything has been going well. I think the global equity markets are up 15 out of the last 16 months. This year, the all-country world index of all the stock markets around the world is up every single month. Something we haven’t seen since the index was formed in 1988. January, February, March, all the way until November, every month is green. We had a very peaceful time, but now, credit spreads are starting to widen, which means Treasuries are doing okay or outperforming credit and investors are switching back to risk-free, safe assets like Treasury bonds or raising cash. They’re selling these credit markets such as emerging market debt, high-yield debt and so forth. This could be an early warning sign that there’s something wrong because the last time we saw an event like this or at least starting an event like this was in the middle of 2014 prior to a US dollar rally and a Euro crash. 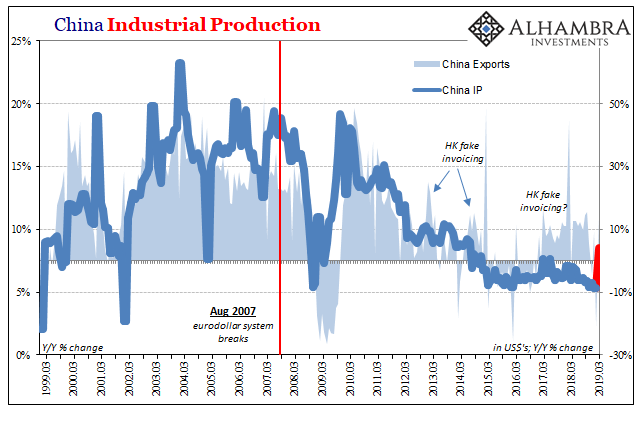 Prior to oil and commodities going down very hard and just prior to Chinese stock market having a crash, and emerging markets having a serious problem. We also saw expanding credit spreads prior to Eurozone crisis, prior to the GFC, prior to the Asian Financial Crisis in 1998 and also, the Nasdaq and TMT Bubble collapse in 2000, 2001, 2002 period. Widening credit spreads from very, very, very low levels and suppressed levels — where we are today, thanks to central banks — could be an early warning sign that something could start to go wrong. It might not be something serious, but at least, it could signal that there is a correction coming after such an overheated positive risk on run. Jordan: Okay, Tiho. With all that being said, tell us your final verdict on credit markets at this point in the investment cycle. Tiho Brkan: Instead of telling you the verdict — let’s say, move away from them or let’s buy them — I would like to discuss two important points here, which will basically tell you the answer. The first one is that the spread between the United States Treasury yield and the European junk bond yield — which is the Euro index of these junk bonds that we were talking about before — has now turned negative. In other words, US Treasury 10-year yield is yielding a higher rate of return for the next 10 years than the European junk bonds — which are priced in Euros, not the United States reserve currency, dollars. Also, this is junk grade debt. Some bonds are along the lines of triple C debt, so a very bad quality. Some of these corporations in there might end up going bust. You might not even see some of your money is returned, let alone, getting the return on the capital — you might not even get the return off your capital. This has never before happened, going back to the 80s when the junk bond index around the world started. I’m pretty sure if we had junk bond indices started and dated going back to 140 years, similar to when we look at the S&P 500 or Dow Jones, I am also sure that this would never happen. This is a very, very strange phenomenon. It’s primarily because of central bank easing. European central bank and the bank of Japan is now buying everything including stock ETFs and corporate bonds. 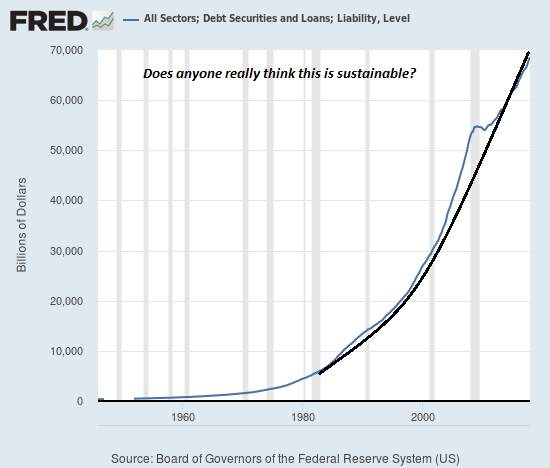 They’re running out of things to buy to stimulate the economy and print the money. Therefore, there are various institutions out there, such as pension funds and mutual funds, that have a certain target for their asset allocations. One of the asset allocation models might read that you must own 5% of junk bonds in your overall asset allocation. From this perspective, you are forced to be buying European junk bond index, which is yielding less than Treasuries. It makes no sense whatsoever. I think this is one of the things that would really end badly. Finally, when we look at high-yield bonds — which we just discussed, and also corporate bonds relative to Treasuries… over time, they tend to do better than Treasuries. This is obvious because they have, first of all, a positive carry with a premium. Second of all, they tend to be priced at a much higher rate of return because investors take more risk there. Currently, when we look at the history back to the 80s in some cases or even the 70s, we have never had relative outperformance of high yield and corporate debt as strong as it is today. Somewhere along the way, mean reversion occurs — eventually. I think that these credit markets will have a setback in the near future over the next couple of years and Treasuries shall outperform. We are now trading at two standard deviations away from the mean in both in the high-yielding credit markets and also in the corporate investment grade credit markets. They’re extremely overvalued relative to history, and historical performance, when we compare them to the Treasuries of equal maturity. In summary, I would say, it’s not a very good time to be a credit investor because the yield is very low, the credit spreads are very narrow, and maybe they’re starting to widen. Also, the performance has been wonderful since 2008 lows. If you haven’t made the money in this sector already, it’s a little bit late to be chasing them now, Jordan. Jordan: Yes. That’s fantastic information, Tiho. I have a feeling this is a subject that we’ll be coming back to in the weeks and months to come. Again, this segment, this episode is being recorded in the middle of November. Tiho Brkan: Yeah. Definitely. One of the things that we’ll be looking at, in particular, is how the European junk bond yields spread relative to Treasuries will play out. We’ll be also looking at how the credit spreads are going to be ticking along in the next couple of months, and whether we are seeing the first stages of a widening credit spread trend starting to appear in front of us — which could signal potential for equity marketing correction or maybe economic slow down or in a worse case, the starting part of seeing a recession occur after such a late cycle. We discussed in the previous podcast not so long ago when we saw that we are now in 101 months of expansions — one of the longest expansions on record. Really looking forward to tracking these financial instruments and indicators over the coming months by doing this podcast with you, Jordan. Jordan: That concludes Episode 6 of The Atlas Investor Podcast. Tiho, for Episode 7, where will you be and what will you be covering? Tiho Brkan: I’ll be in nearby Germany in the Capital City of Berlin eating some famous German sausages and drinking beer. Unfortunately, October Fest has already passed, so I’m a little bit late. Nonetheless, it’s cold and it’s prime time for eating some heavy food and enjoying German culture. I’ll be covering many things that are important right now in the financial markets. We’ll be looking at equities. We’ll be looking at bonds and credit. We’ll be summarizing some of the things such as sentiment and breadth. We’re looking at the state and the conditions of the overall financial markets. I’ll be letting you know if there’s anything that you should be worried about after having such a stellar 2017 and such a wonderful performance. It’s an episode not to be missed. Thank you for listening to The Atlas Investor podcast. To be notified of future podcast episodes sign up for our free newsletter and join our Youtube channel. Tiho Brkan offers his clients a wide range of services. Including portfolio construction and wealth management. One on one consultations. Global real estate opportunities. International tax planning. Citizenship and residency planning. And one on one mentoring. For a free consultation, visit the Atlas Investor dot com and contact Tiho Brkan.